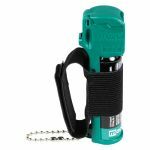 Animal repellents come in a pepper spray or electronic form. Working to neutralize an animal without permanently harming it. Mace brand muzzle spray: EPA approved Muzzle dog repellent provides safe, effective and humane protection against canine attack. Canine repellent is ideal protection for walkers, joggers, cyclists, or delivery people. Stops attacking dogs and forces them to retreat in a different direction. You'll never have to be scared of another dog. Keep with you whenever you're out. Order your dog repellent today! Mace brand bear spray or Guard Alaska bear spray: It is absolutely the most effective and powerful defensive bear spray available today. It is environmentally safe! Does not contain flammable or ozone depleting substances. The formula is scientifically proven superior, and endorsed by the Alaska Science & Technology Foundation. You need something you can depend on in the woods. 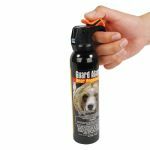 Bear pepper spray is an effective deterrent to attacking bears. Treat all bear encounters with extreme caution. 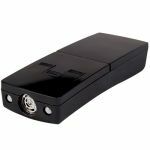 The Ultrasonic dog chaser: The Ultrasonic Dog Chaser is the most humane and safe way to deter unfriendly dogs. Using the latest ultrasonic technology, the Dog Chaser produces a discomforting but not harmful, high frequency sound, audible to dogs but not to humans. Helps stop the approach of unwanted dogs at up to 40 feet away. Works on cats too! This dog repeller is also a useful dog training device when used in conjunction with the verbal or hand command. 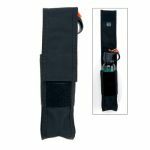 Includes a belt clip and built in flashlight.